Ordering food through an app on your mobile phone seemed unthinkable years ago. Now it is slowly becoming the trend with growing the popularity of smartphones and tablets. If you have these devices, having an app that would help you order food easily would be something very convenient. You wouldn’t need to call if you want something delivered, you only need to do a few taps on your device. The fact that one entity made the early efforts of making something like this work int he Philippines is commendable. It’s too early if mobile ordering will become popular and more importantly, a sound business platform. The success of business ideas like this of course depends on the speed of service among other things. You’ve possibly heard of Click the City. It’s a website that lets users check movie schedules, trailers and reviews, among others. 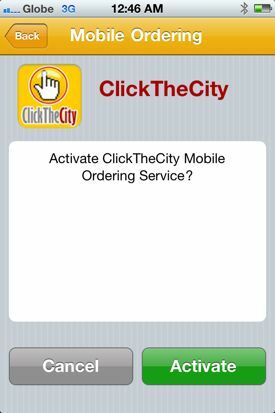 It has an app called ClickTheCity Lifestyle App and just recently, a Mobile Ordering feature was officially included in the app. 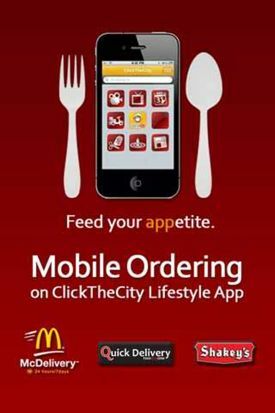 So aside from checking out schedules for movies, TV shows and events, watching trailers, getting freebies and discounts from ClickTheCity’s partner merchants, users of ClickTheCity Lifestyle App can now order food from their phones and mobile devices using Mobile Ordering. 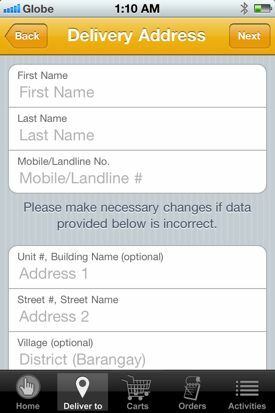 The app has access to the menu of McDonald’s, Shakey’s and Quick Delivery’s partner restaurants. I tried the app. It looks sleek, it’s fast, and setting up Mobile Ordering just takes a few taps. 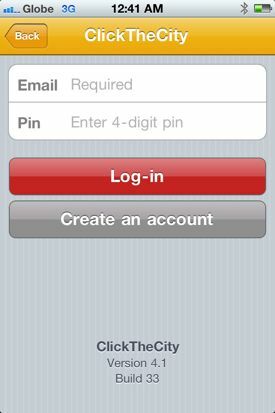 Here are a few screenshots of the app. 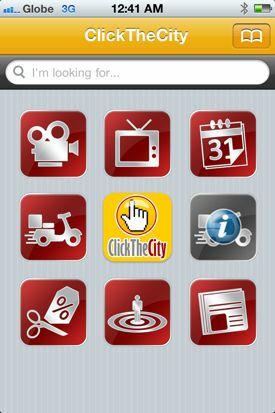 The new version of the ClickTheCity Lifestyle app with Mobile Ordering can now be downloaded for free on iOS devices (iPhone, iPad and iPod touch) and Android phones. Contest Alert! Win Nokia Asha 200 and 303 Phones in Nokia’s QWERTY Promo!